What is the purpose of the Deluxe Park Bench? 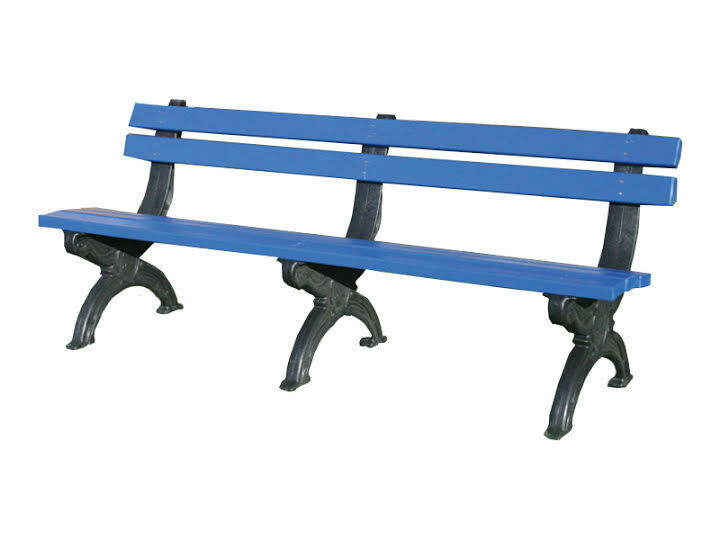 Deluxe Park Bench is a sturdy three- or four-seat bench that is great for parks and other outdoor locations. The bench offers a perfect place to relax while relishing the outdoors or while having a picnic in the park. You can choose from five different colours and two different sizes to match the area size and theme. 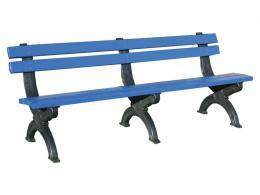 The Deluxe Park Bench is available in blue, black, brown, green, and cranberry color options. It can sit up to three or four persons. The 3 person deluxe measures 780 (H) x 1500 (W) x 415 (D) while the 4 person deluxe measures 780 (H) x 2000 (H) x 415 (D). 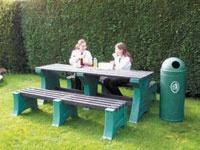 Deluxe Park Bench can be used in parks or any outdoor areas like offices or home gardens. It is designed to withstand all types of weather. This durable park bench will not rot, break, split, or splinter in very hot or cold conditions. Rain or shine, this park bench will remain intact. This Deluxe Park Bench may be used by people who are looking for a place to sit and rest while enjoying the outdoors. This park bench may also be placed outside buildings or offices, or even with homes with a large lawn or garden. In terms of design, this deluxe park bench adds a unique charm to home and office gardens. It is a practical choice for homeowners as well as park managers who are looking for the practicality of having park benches, but do not want to be bothered by maintenance work. This Deluxe Park Bench is completely maintenance-free. You don’t have to worry about the rust that is commonly found in benches made of steel. You also don’t need to worry about peeling paint or splitting materials. It’s also a good choice for people who want to reduce their carbon footprint. This park bench is environment-friendly and is made of 100% recycled plastic. 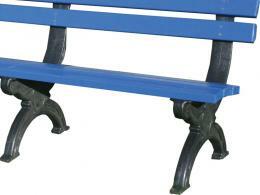 Deluxe Park Bench is made from 100% recycled plastic material.